Hey Brawler! Wanna take fun of the Community! Come On Join It Today! 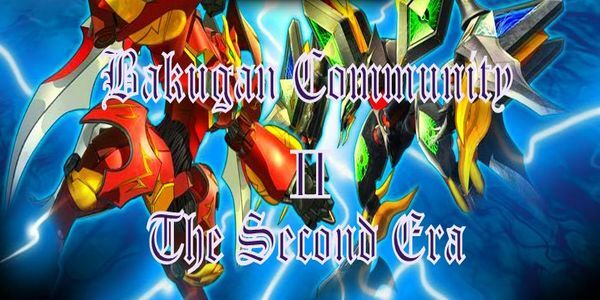 The Next Era Of Bakugan Community Has Begun! BRAWL ON!!! So Finally Its Feeling like home but we still have to work.... So Work and brawl Fellas!!!!!! BC#2 is recruiting... you can be one of the staff members... So Come on visit the Announcements Section and then see the Recrutiment OPen Topic!!!!!!!!!!!!!! Hey, it's not a role play, but this may be able to help organize everything, "clean up" RPs from this point on, who knows? -shrugs it off- Writer's block, what do you expect me to call it? Ever wanted a Gernade Bakugan? It's been a while since Duke had a case, but does he still have what it takes when numerous Bakugan are disappearing, and their owners don't even remember them? This is my second attempt writing this after my internet bugged up. I'm not redoing this!